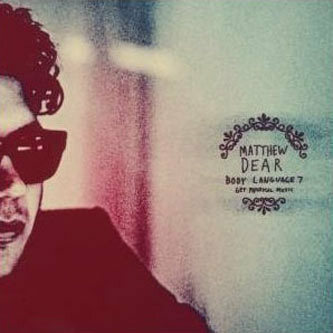 From the home of all things European, tech and house, Get Physical presents a winning new mix from Matthew Dear for their Body Language series, following from Junior Boys awesome selection earlier this year. Dear has built himself a formidable reputation as a highly sought after DJ, producer, live act and remixer par excellence, with a neat line in deeply sensuous house mixes that earned him buckets of critical acclaim. This mix draws together some of 2008's finest cuts from like minded producers ranging from Kalabrese's riffin' groover 'Cityblues', to Samual Davis Dark Groove remix of Sascha Dive's 'Street Life' and onto a run of old school-not-old school house from Kid Sublime, Johnny D and Martinez, before stripping back into thicker and more toned tech house minimalism from Radioslave, DJ Koze and Seth Troxler or Even Tuell's brilliant 'B1' track from his Workshop 12". If you're a fan of Get Physical or Mr Dear, this is right up your strasse.